Back in March, President Trump imposed tariffs on imports from Canada, Mexico, and the European Union. That includes a 25 percent tax on steel, and a 10 percent tax on aluminum. Those are materials you need to build buildings. These tariffs were imposed to help steel and aluminum manufacturers here in the U.S., but they’ve angered foreign leaders who have imposed retaliatory tariffs. So how are the tariffs affecting the construction industry here in the Southland? Well, last week the LA Times reported the LACMA expansion has fallen behind due to cost overruns (and shortage of donations) caused in part, said LACMA CEO Michael Govan, by steel tariffs. Ron Kong runs M&K Metals in Gardena. The family-owned firm supplies steel, aluminum and other metals to designers of projects of all scales. He works with a lot of local designers doing boutique projects using metals in decorative cladding or COR-TEN for interesting backyards. He says that when overseas suppliers raise their prices due to tariffs, the domestic steel manufacturers also raise theirs. So their vendors take the hit, and that includes manufacturers like the auto industry, and, in LA construction, subcontractors. Kong says there’s a difference for larger companies. He says that in large scale projects, like 100-unit apartment buildings or institutional buildings which might take hundreds of tons of steel, whether it's in beams or tubes, there will be a team of people that gets their bank of attorneys to put in what he calls an “escalation clause” to factor in unpredictable price hikes down the line. “Small business people... aren't going to have the knowledge or the people or perhaps they're running ragged to try to get this thing done. If they don't have that type of language built into there. The general [contractor] is going to make them build it for the price that they contracted and if the price of the steel goes up by 25 percent, they'll have to absorb that,” Kong said. The tariffs are affecting other industries as well. Rob Jernigan of international architecture firm Gensler, told us these tariffs are having a very large impact in the drywall industry because of the rising cost of steel studs. He also said aluminum is being affected. But he adds that in projects of this size all these items are commodities and commodities are constantly changing. 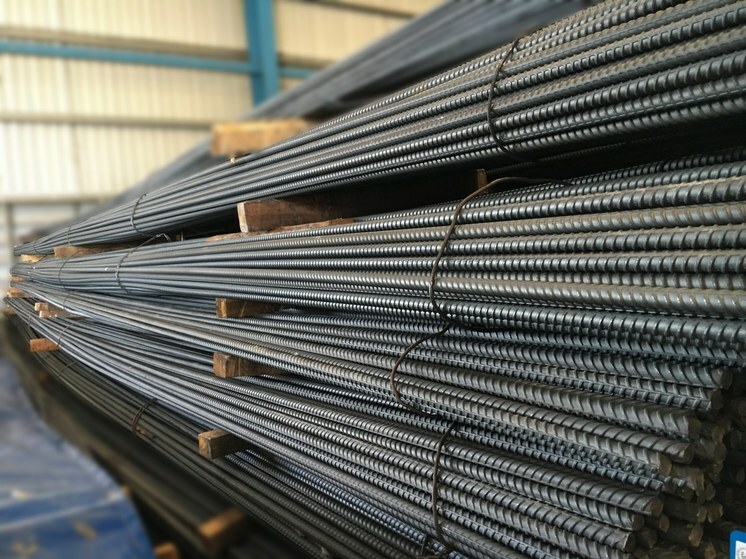 Nick Butcher, Managing Director in the LA office of MGAC’s Cost/Risk Group, writes that steel material, as a proportion to the overall cost of a construction project, is relatively small. Butcher says the bigger issue right now is that the market is incredibly stretched, more than he has seen it in 30 years and construction price levels have risen considerably as a result. That’s another reason why the LACMA construction costs are going up. The goal of these tariffs is to help U.S. steel production. Domestic steel manufacturers are benefitting from charging more for their product, but that does not benefit their vendors. Kong says the U.S. steel industry had been decimated and hopefully the tariffs will work to spur more development in steel capacity or steel mills. The tariffs on steel and aluminum imports from Canada, Mexico and Europe -- and the retaliatory tariffs imposed on the U.S. -- will have wide-ranging impacts on American consumers.